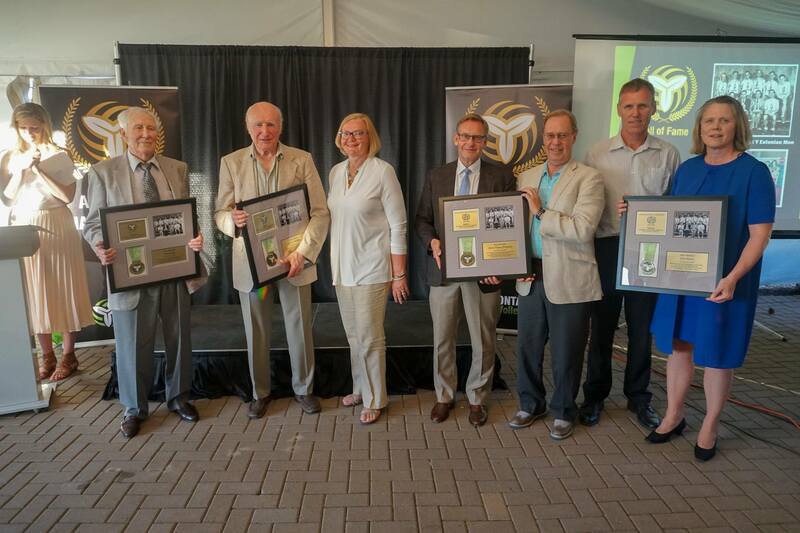 Legendary Estonians honoured and inducted into the inaugural Ontario Volleyball Hall of Fame! On June 3rd, the inaugural Ontario Volleyball Association (OVA) Hall of Fame banquet & induction ceremonies took place at the Horseshoe Valley Resort north of Toronto. 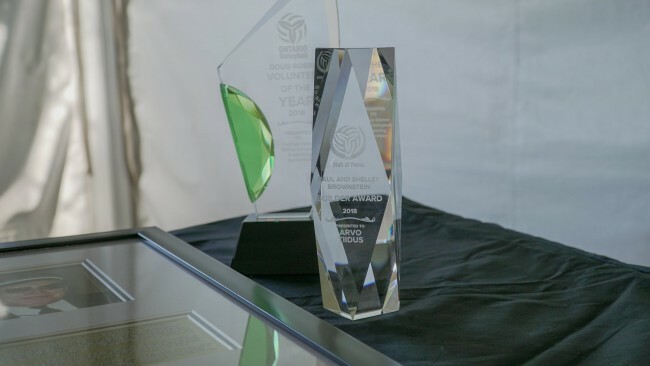 Among the recipients honoured with induction were: in the team category, the ‘1953 Central YMCA Estonians’ and in the Builders category, Mr. Arvo Tiidus. The 1953 Central YMCA team is to this present day unparalleled in their volleyball accomplishments. 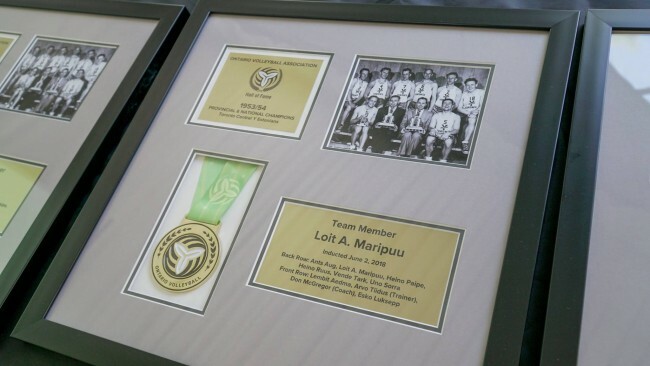 Winners of 11 provincials titles during the period 1950-64, they were also 8 time National Champions during the same time period, winning Canada’s inaugural National Championship in 1953 and repeating the feat each year until 1959. A number of the team members were selected to represent Canada internationally at the Pan American Games in 1958 & 1963. 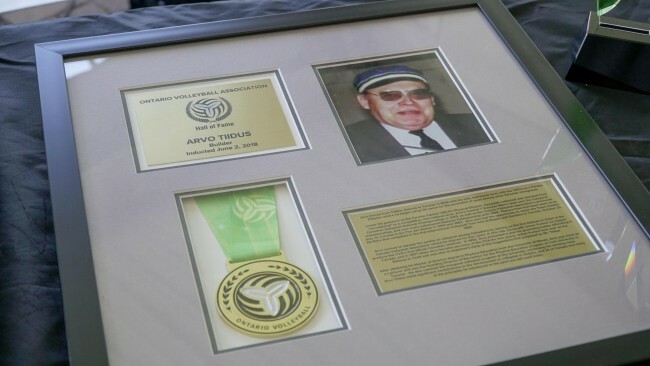 Arvo Tiidus, the manager of the legendary Central YMCA Estonians team, was responsible for the development of volleyball throughout Ontario, was the first Canadian national head-referee and along with Nick Furlani, wrote the initial Referees Rules and Regulations handbook adopted by the Canadian Volleyball Association (CVA). Arvo also served as secretary of the CVA, prior to assuming the position of Director of Physical Education at York University. 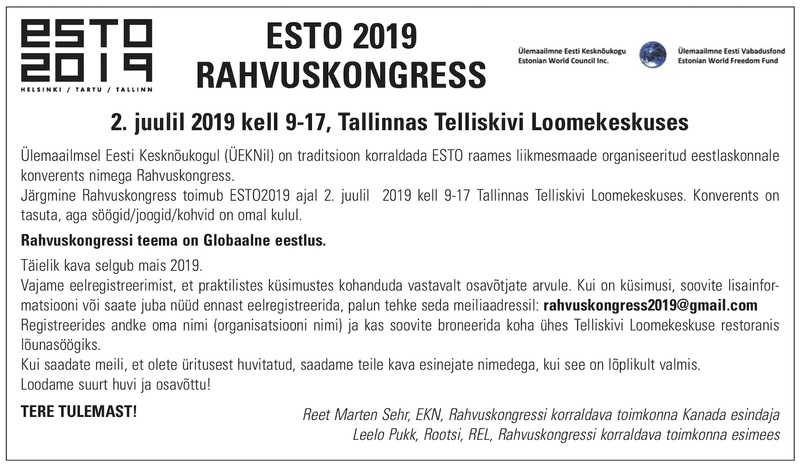 Kuulsuste Halli banketil (vas. ): Ants Aug, Loit Maripuu koos sõbranna Maraga, Martin Tiidus, Peeter Tiidus, Hillar Sõrra, Karin Sõrra.